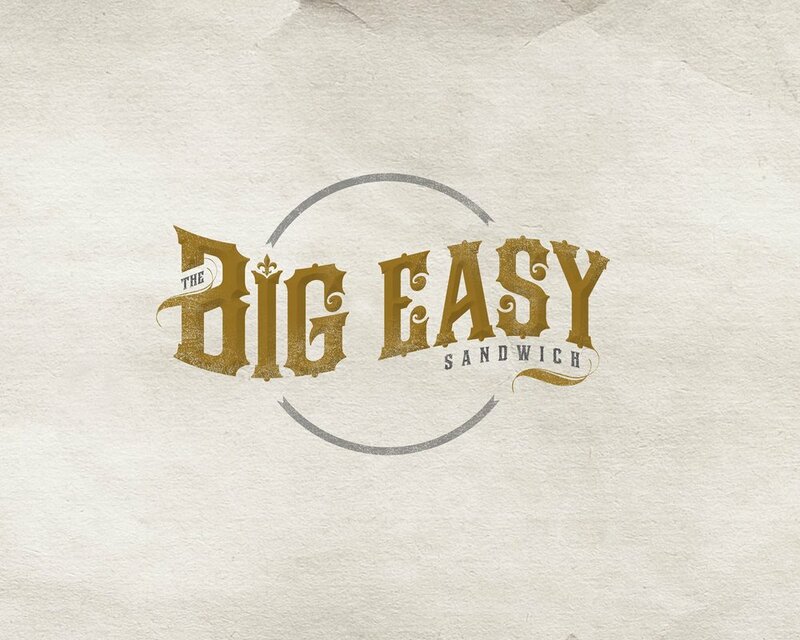 The Big Easy Sandwich was created with one mission in mind, to satisfy hunger with simple, fresh, and unique flavors and textures. A combination of 30 years restaurant experience and knowledge crafted the original mix of New Orleans and California flavors. This fusion is now known as the Big Easy Sandwich. The Big Easy Sandwich's crafters always have something up their sleeves. The Big Easy Sandwich is a must book catering service when looking to treat guests to a mouth watering menu and a down to earth staff. Our staff is ready to go for an event of any size. We've worked various events ranging from parties to outdoor festivals. Feel free to give us a shout! Sliced roast beef smothered in bar-b-que sauce, served on potato brioche with “Stella”natural Swiss cheese and butter chip sweet pickles. Grilled blackened spiced fish, topped in our signature creole sauce, sliced tomatoes, onions, and Creole slaw. Served on a potato brioche. Slow cooked pulled pork infused with fresh chipotle, covered with creole slaw, and sliced onions. Served on potato brioche. Blackened fish Served on a bed of New Orleans styled olive tapenade, tomatoes, and Creole slaw. Melted Cheddar cheese and bacon between thick cut texan bread. A large stack of grilled pastrami, dijon mustard, sliced pepper jack cheese, grilled onions, sweet pickle chips and sliced tomatoes. Served on thick texan bread. 1/3 lb burger topped with pepper jack cheese, sweet butter chip pickles, sliced tomatoes,Creole slaw, and sliced onions. Served on potato brioche. 1/3 lb burger topped with pepper jack cheese, maple bacon, sweet butter pickles, sliced tomatoes, Creole slaw, sliced onions, and jalapeños. Served on potato brioche. 1/3 lb burger topped with pepper jack cheese, sliced onions, Creole slaw, and chipotle pulled pork. Served on potato brioche. Two third pound patties topped with melted cheddar cheese, thick cut bacon, sweet pickle chips and sliced onions. served on a potato brioche. A third pound burger topped with grilled pastrami, dijon mustard, pepper jack cheese, sweet pickle chips, sliced onions, & sliced tomatoes. Served on a potato brioche. Two third pound patties, thick cut bacon, grilled onions, and melted cheddar cheese. Served on rye bread. Topped with Creole slaw, roasted garlic chili salsas. Served on yellow tortillas grilled in butter. Topped in Creole slaw, grilled onions, roasted garlic chili salsas. Served on yellow tortillas grilled in butter. Thick sweet potato fries tossed in sea salt. Beer battered and fried to a crunchy crisp. Fries tossed in flavorful cajun seasoning. 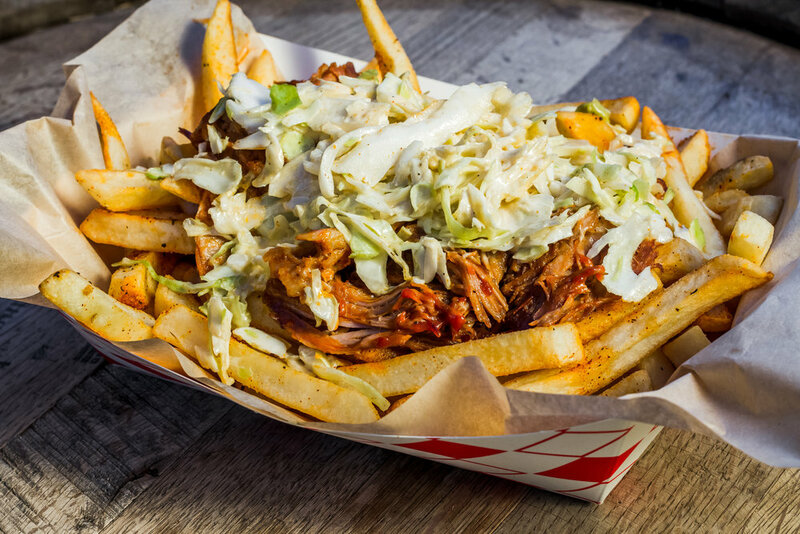 A bed of cajun fries topped with sweet and spicy chipotle pulled pork and crunchy creole slaw.